 Creating memorable events by using forward thinking and paying close attention to detail with Saz’s Hospitality Group is what Saz’s Chief Financial Officer and Festival Director, Curt Kluth, prides himself on. Curt started with Saz’s Festivals back in 1994 and has continuously delivered a level of hospitality excellence to Saz’s guests. Through his work with local Milwaukee businesses and organizations, Curt strives to build win-win partnerships and a create one-of-a-kind events and experiences such as Bastille Days and Saz’s Dockside BBQ at Summerfest. Born and raised in Milwaukee, Curt attended Marquette University High School and went on to receive his B.A. in Small Business Management from the University of Wisconsin-Madison. Since many of his fondest memories as a child are on the lakefront walking the Hoan Bridge during Irish Fest or riding the Giant Slide at State Fair, it’s no surprise that Curt feels right at home during the Summer Festival Season. As luck would have it, Curt even met his wife while they were working at neighboring Summerfest restaurants, giving the phrase “festival favorites” a whole new meaning for this lovely couple!